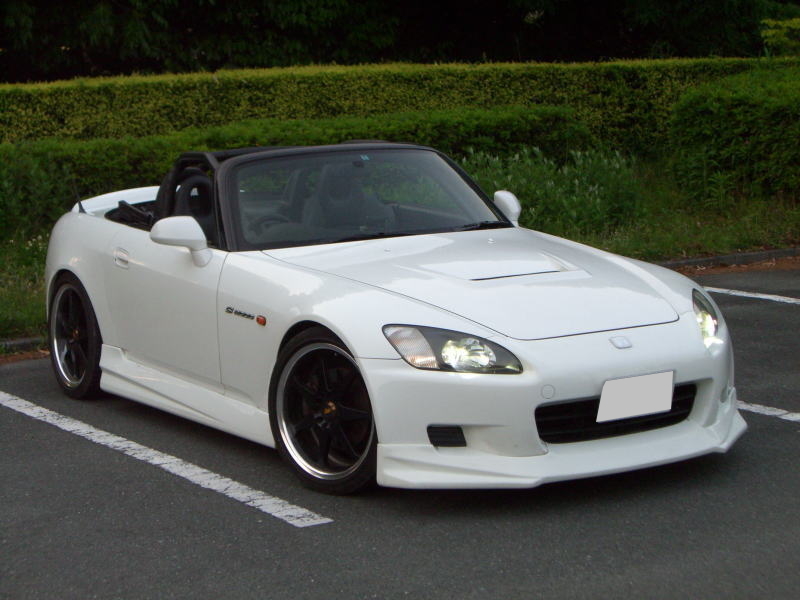 honda s2000 ap1 ap2 - J's Garage Export Co., Ltd.
1999.04 : Honda announced the release of the S2000 two-seater open sports car in Japan on April 15. 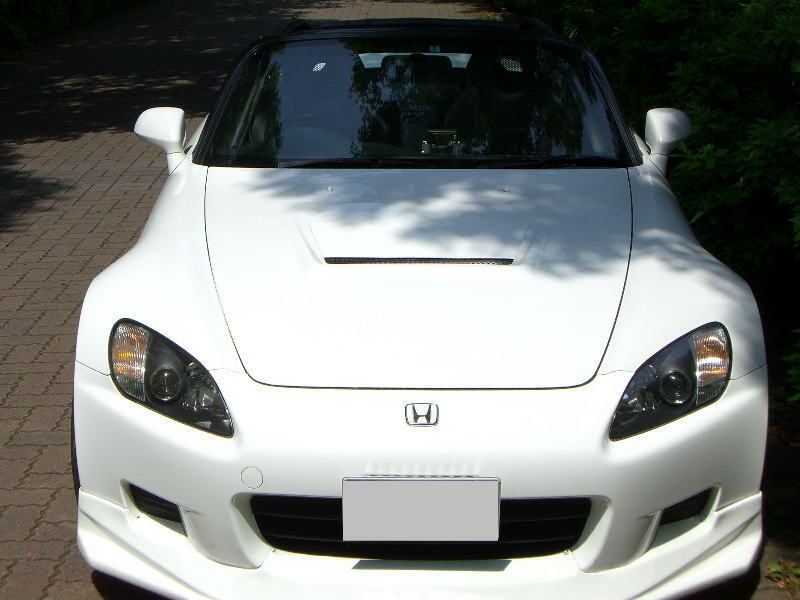 The Honda S2000 is powered by the F20C 2.0-liter NA(normally aspirated) 4-cylinder DOHC VTEC engine that makes 250 horsepower at 8300rpm (125PS per liter) and 22.2kg-m of torque. 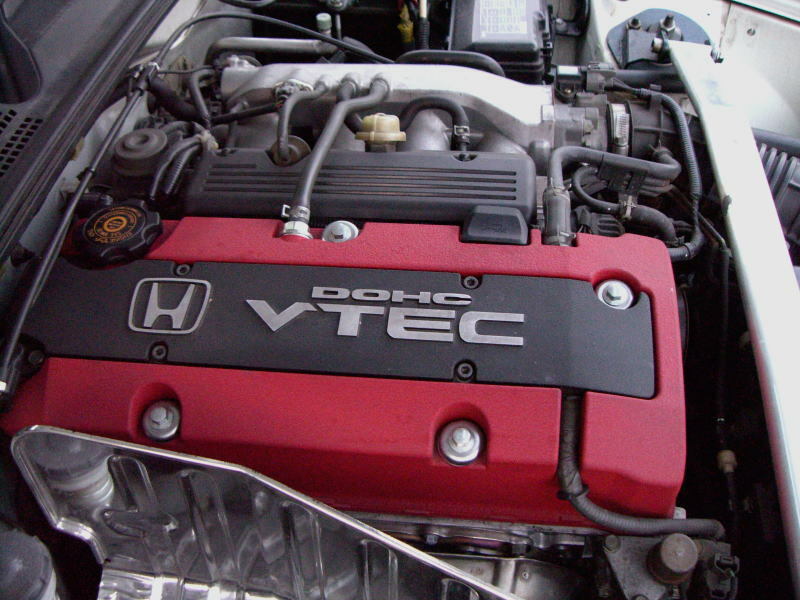 Honda has further refined its proprietary VTEC technology and devised technologies to reduce friction and improve breathing efficiency to produce a high-revving, high-output engine. The S2000 adopts a 6-speed close-ratio manual transmission that enables the driver to exploit the S2000's engine to the full. 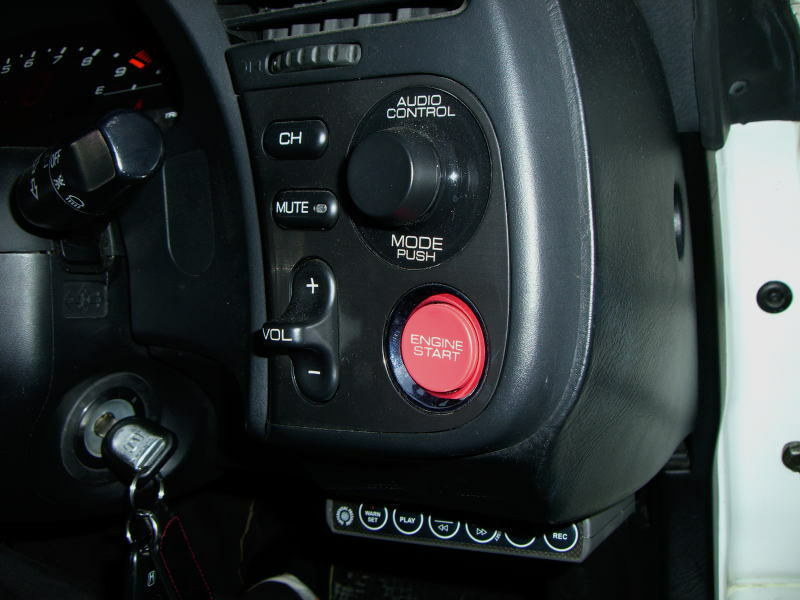 The ultra-light flywheel and highly rigid drive shaft further contribute to swift throttle response. To develop a new-generation open sports car, the S2000 adopts "High X-Bone Frame" open-body structure. In this new frame construction, the raised center tunnel features a strong boxed-type structure that connects to the front and rear side members in a single horizontal plane. 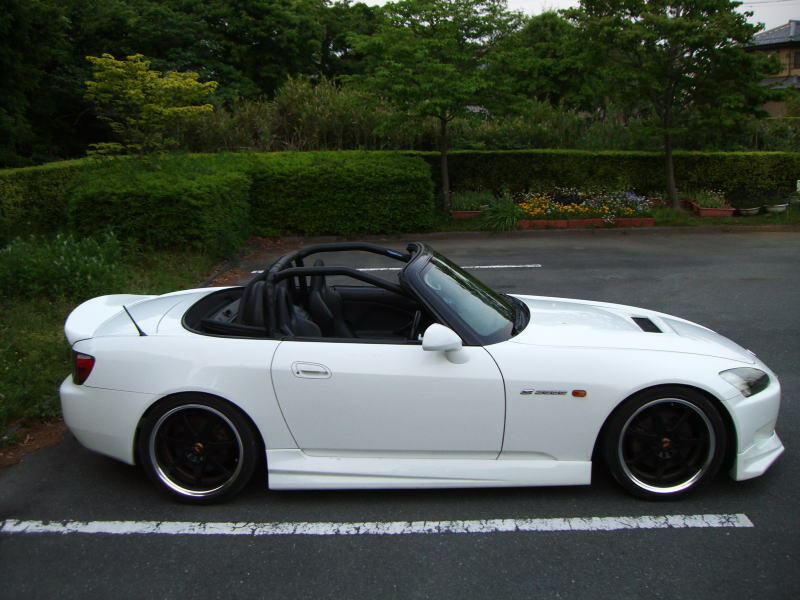 Honda developed a new in-wheel type double wishbone suspension specially for the S2000. And the S2000 is fitted with 16-inch ventilated front disc brakes, 15-inch rear disc brakes, floating piston-type single-tube gas-filled shock absorbers, ABS and LSD. 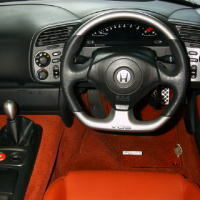 2000.07 : Honda announced on July 14 that they introduce the Honda S2000 type V with the newly developed VGS (variable gear ratio steering) for the Japanese market. The VGS, based on the rack and pinion type steering, improve both stability and sporty handling by electrically controlling the gear ratio responding to speed and driving conditions. The lock-to-lock ratio is almost halved to 1.4 turns for better maneuverability in the low speed range. Major Features of the type-V are VGS system, specially developed chassis, an exclusive type-V steering wheel, and rear VGS emblem. 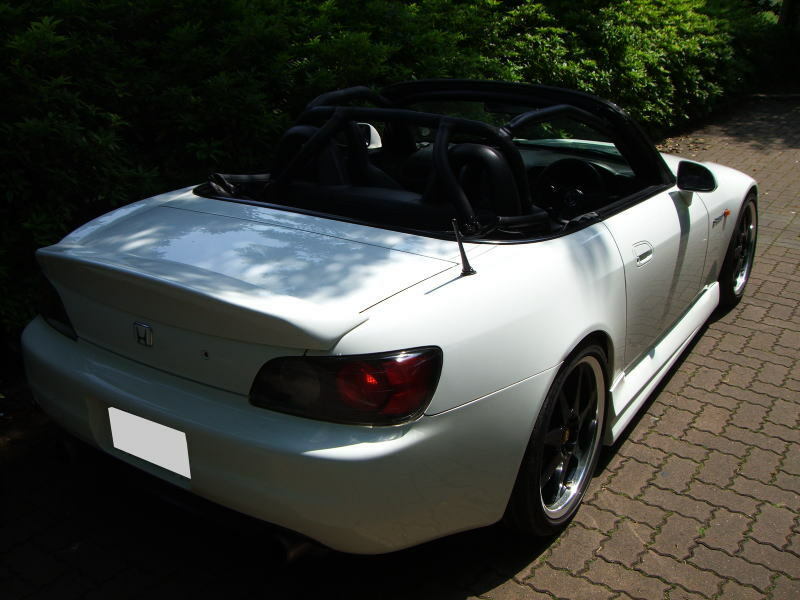 2001.09 : The Honda S2000 got small upgrade including improved suspension and a soft top with glass window. Exporting JDM car 2002.10 : The Honda S2000 GIOIRE was added. The features of the S2000 Gioire are exclusive body color gold pinstripe, chromeplating door mirrors, BBS gold alloy wheels, tan-color interior, a exclusive steering wheel, and floor mats. 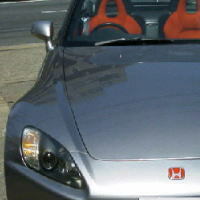 2003.10 : The Honda S2000 got small facelift including new front headlights, taillamps, 17-inches alloy wheels, bumpers, and interior design. And suspension, brakes, and body have been improved. 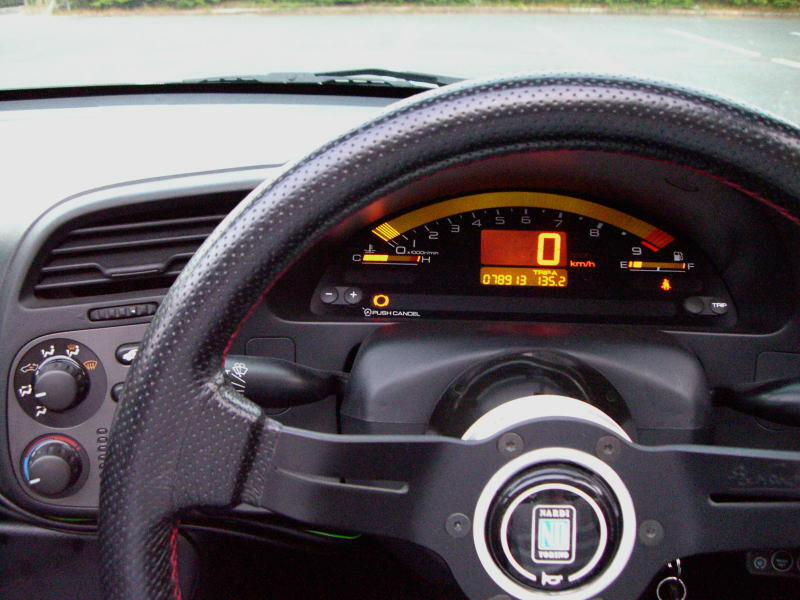 2005.11 : The Honda S2000 got some upgrade including a 2.2 liter engine, DBW (drive by wire), 17 inches alloy wheels, a new designed steering wheel.